You want to ride your bike, but winter is fast approaching. The snow will be here before you know it, and day light is hard to find. You can either bundle up and head out the door to battle the elements OR you can invest in a bike trainer, and enjoy riding your bike indoors where safety nor lack of daylight is an issue! 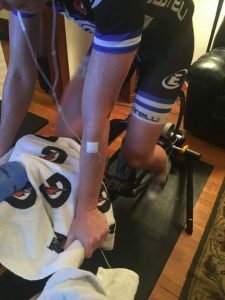 I beg to differ and here are a few suggestions and recommendations on how to make your indoor riding a positive experience. 1. Get a good, quality bike trainer! I am a big fan of the CycleOps brand of trainers for many reasons such as high quality, ease of use, outstanding customer service and finally a wide variety of trainers to choose from! Not sure what trainer may be best for you? Check out their website! They will even help you to pick the right trainer for you based on your specific needs and your budget. Their product line up is extensive. Check it out here! My suggestion would be to invest in at least a progressive magnetic resistance or fluid resistance type trainer for more of a quiet and smooth/road feel like ride. My personal favorite is the “Supermagneto Pro Trainer”, and I have had mine forever! It’s super easy to use, and pretty much indestructible. This thing has seen a lot of sweat puddles, trips across the country so that I could ride my bike in a hotel room during long work functions, as well as trips to a local indoor track yet it’s still like new! Pool of sweat after a short 45 min workokut! Fun on the track! Bike/run/bike/run/bike/run anyone? 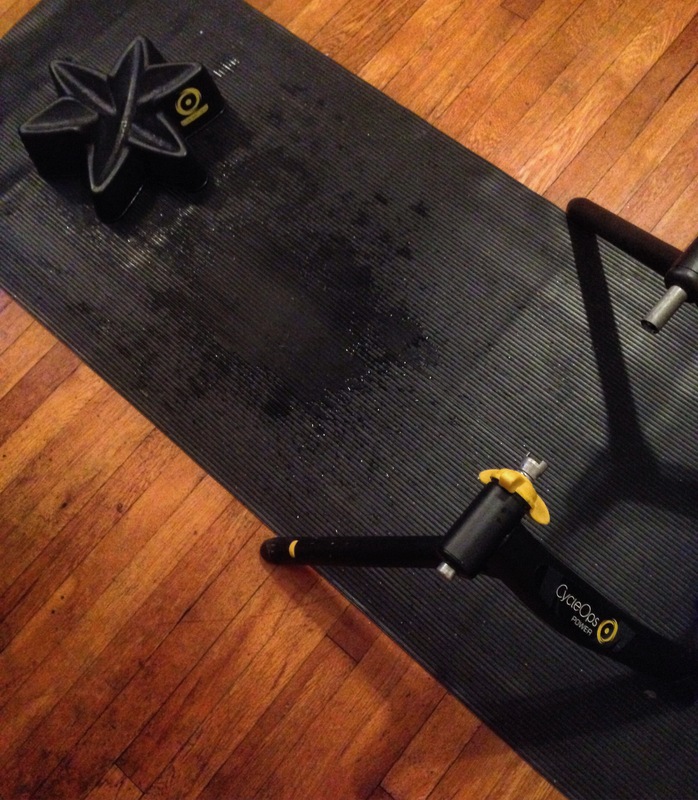 It’s however about to take a back seat (except for those occasional trips to the track or road trips) to its new brother (an addition to the Cycleops family) – “The Hammer”. I am very excited to get my hands on it, I mean my bike on it and hammer out some watts! See what I did there? 😉 Czech it out for yourself – this trainer will take your indoor riding yet to another level and really provide you with an ultimate indoor riding experience. 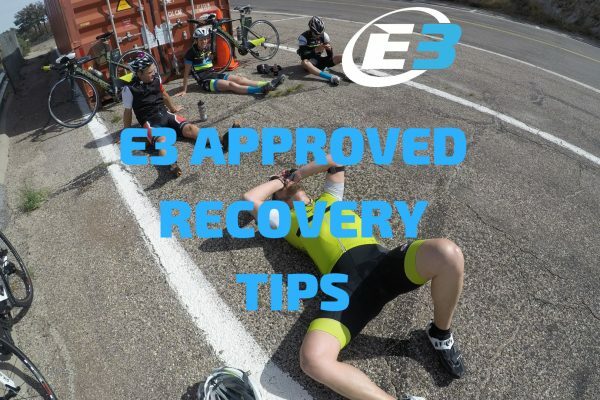 Love to ride hills all year long, but your favorite mountain passes are under few feet of snow? You now can do just that from the comfort of your own living room or if you are lucky enough dedicated pain cave while feeling that 20% incline! 2. Your trainer arrived – now what! It’s time to ride! Indoor riding doesn’t need to be boring. Chances are you probably hop on an indoor trainer, put a movie on, and pedal away for as long as you can stand it for. Yes – that can definitely get old very quickly even for the extremely motivated individuals! 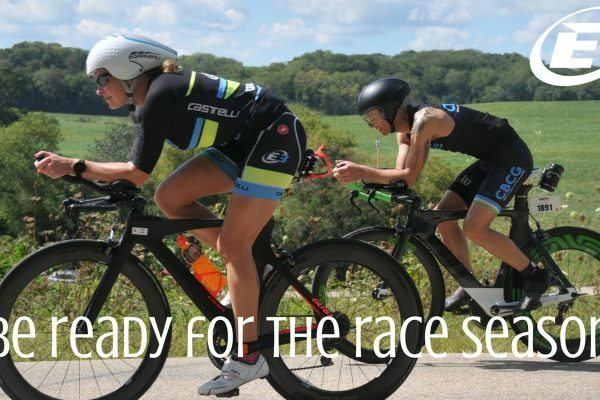 Unless you are signed up for a very early season race, there is no need to do that. 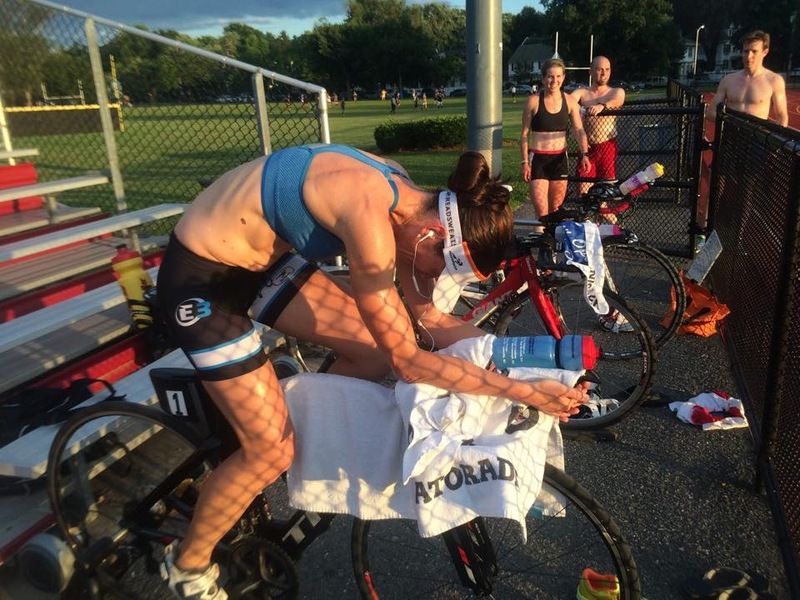 Winter (for most of us triathletes) is the time to address our limiters, and develop important non-specific fitness. So, if you are racing an Ironman next summer, there is no need to spend hours upon hours on the trainer now – that time will come. Instead I like to use the first few weeks of offseason to have fun, enjoy the ride, and not stress about heart rate or power. After a few weeks of unstructured rides, I start to focus on short but quality sessions geared toward improving Anaerobic capacity and VO2 max for 6-8 weeks. These sessions are short, fun, very effective and perfect for the trainer! There is no need to worry about cars, stop signs, potholes or lack of daylight. I can just focus on putting my head down and getting the work done! Getting it done in the comfort of my own living room! These anaerobic sessions are geared at improving your maximal power and “jump-starting” your fitness. By doing some short maximal efforts, you’ll give your legs and body a good dose of intensity without the sessions being overly long or aggressive. 1st week you start with 3 sets, and week after week you can increase the number of sets. This workout looks easy on paper, but give it a shot, and let me know how it goes! Sometimes I wonder how 20 seconds can feel so long. Depending on your fitness level, the 1st week you can start with 5 sets, and week after week you can increase the number of sets to as many as 20. This workout again doesn’t look too intimidating on paper either, but give it a shot, and again let me know how it goes! It doesn’t take long before the 30 seconds of work feel twice as long as the 30-sec rest. If you are still not convinced that indoor riding can be just as fun riding outdoors, you must check out the Cycleops “Virtual Training” app because this app literally lets you get outside (while staying in) and ride your bike on the same real routes you are used to during the summer months. You can even ride with your friends if you all start the ride the same time. Or maybe you can just pretend like you are riding through the lava fields – I can’t say I haven’t done that! Talk about specificity! 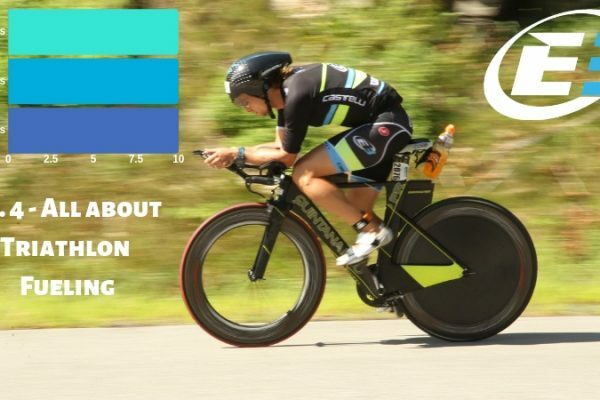 So here you have it – the combination of a great/quality trainer, fun/focused interval workouts, virtual training app of your choice, and you too can become a stronger cyclist over the winter months. Don’t wait – the time is now! 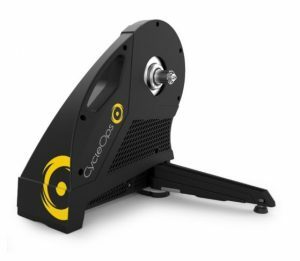 And If you are still reading, and are in the market for a trainer, Cycleops is offering 20% discount on selected trainers this week! Don’t miss out! Personal disclosure: I do actually ride my trainer all year long for most of my interval training during the week, and once the weather gets nice enough, I try to do most of my 2-3+h rides outdoors if I can. I definitely wouldn’t be the athlete I am now if it wasn’t for the convenience of indoor riding.